Paranix is completely new fly tippet material that has never existed in fishing before. Hitena's R&D and polymerization/spinning technology made it possible to bring this magical multi-polymer tippet to fly fishers. 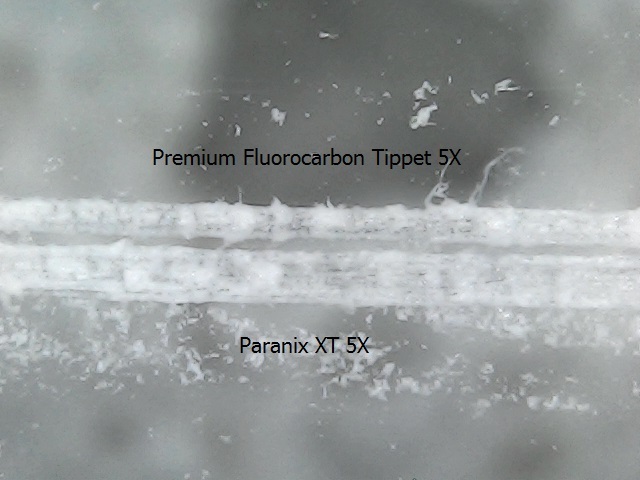 We'll guarantee any tippet currently existing in the market never comes even close to Paranix in performance. 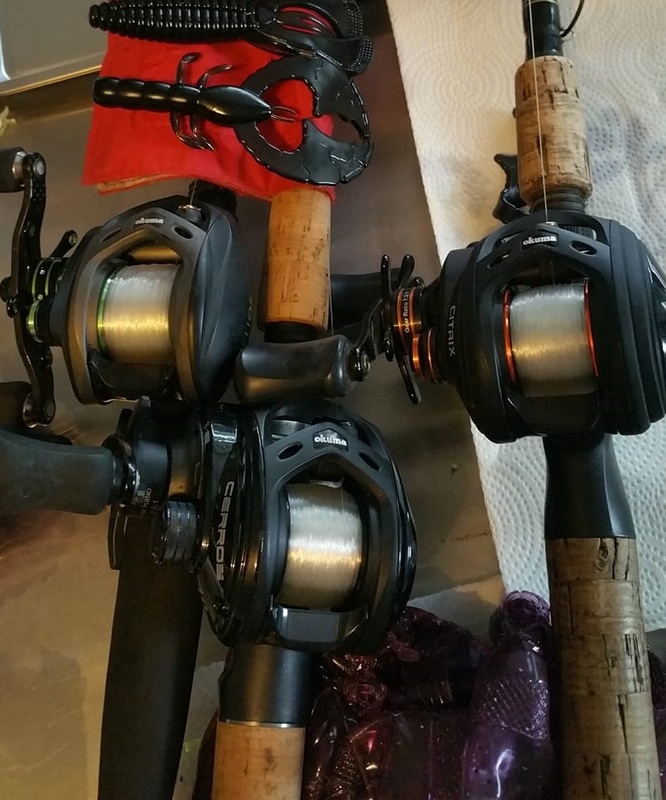 In addition, Paranix will bring more fun to your fishing by removing odd jobs to straighten your tippet. Due to the far superior tensile strength and knot strength, you might want to consider downsizing your current tippet size by one which will add another benefit of slimmer tippet size for the same job. 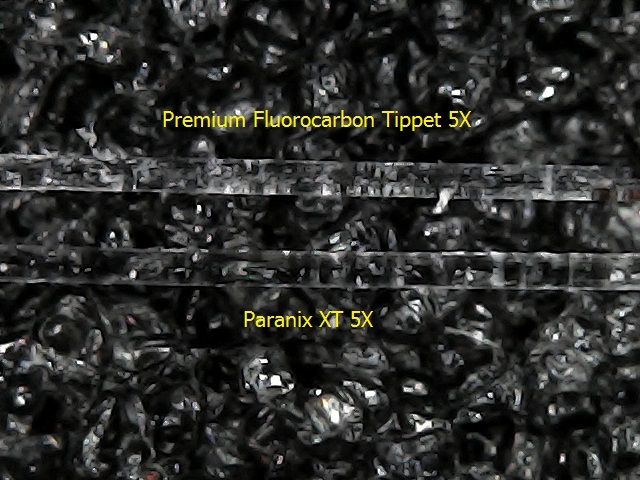 Coupled with its already better clarity than other tippet materials, Paranix will be even less detectable by smart fishes. Both lab test results and more than a year of field test in fresh and saltwater prove it. - Paranix (HA48X08) : Multi-polymer new material tippet. Medium density. 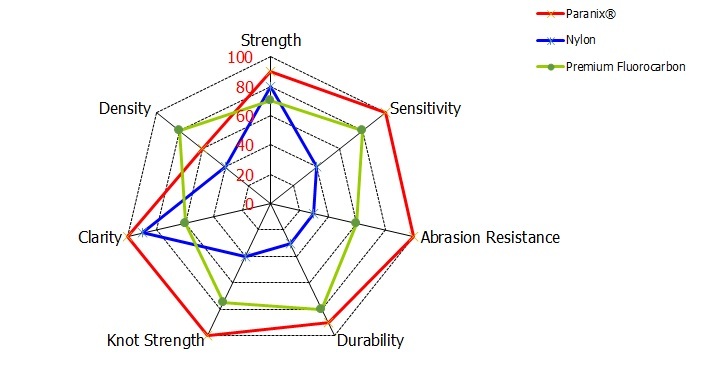 Ultra abrasion resistance. 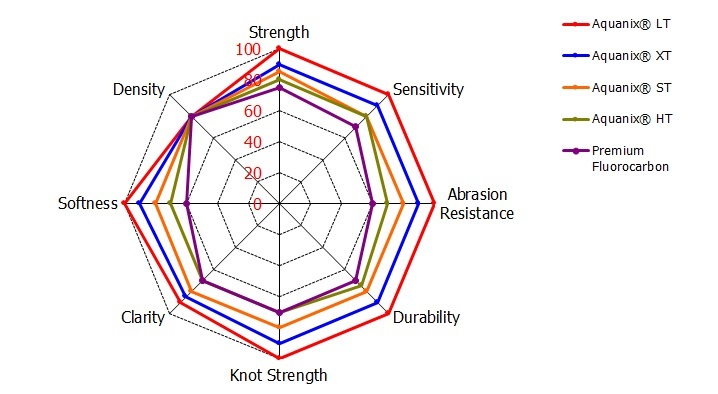 LT and XT are designed for super sensitivity with least stretch while VT and WT are more elongating version of XT and LT respectively. We ship to any valid and deliverable addresses in 50 States in the United States. We will ship orders to the address you indicate as long as it meets the address requirements at checkout. Upon delivery of your items to the carrier, you assume risk of loss as well as ownership of items purchased through the website, and you are responsible for filing any claims with the carrier for damaged and/or lost shipments. If you refuse delivery of your order, it will be returned to our warehouse and you will receive a refund for the merchandise and tax paid. Shipping charges are nonrefundable. Orders shipped to contiguous 48 States will arrive normally within 3~7 business days. Shipping is available for orders with a PO Box, Rural Route, or APO/FPO/DPO address. Orders shipped to a PO Box or Rural Route will arrive usually in 7-10 business days. Orders to an APO/FPO/DPO address will arrive in 3-5 weeks. The shipping cost is determined at checkout and will be fixed price or vary based on delivery zone and weight. Free standard shipping is eligible on orders $100 or more. You have 30 calendar days to return an item from the date you received it for a full refund. Only items that have been purchased directly from www.hitenausa.com can be returned. Hitena products purchased through other retailers must be returned in accordance with their respective returns and refunds policy. Your item needs to be in original packaging and have the receipt or proof of purchase. We'll also pay the return shipping costs if the return is a result of our error (you received an incorrect or defective item, etc.). Please note, you will be responsible for return shipping charges. We strongly recommend that you use a trackable method like UPS, Fedex or USPS to mail your return. After receiving your return and inspecting the condition of your items, we will initiate a refund to your credit card (or original method of payment). Please allow us at least 30 days from the receipt of your item to process your return. In many cases you will receive a refund more quickly. This time period includes the transit time for us to receive your return from the shipper, the time it takes us to process your return once we receive it, and the time it takes your bank to process our refund request. Refund may take 1-2 billing cycles to appear on your credit card statement, depending on your credit card issuer. We will notify you by email when your return has been processed. In case you have opted for an exchange, we will provide shipping details for replaced items.